I’m a peanut butter lover as well, and it’s great to hear someone else dips their crunchy in coconut oil! I thought I was crazy haha. 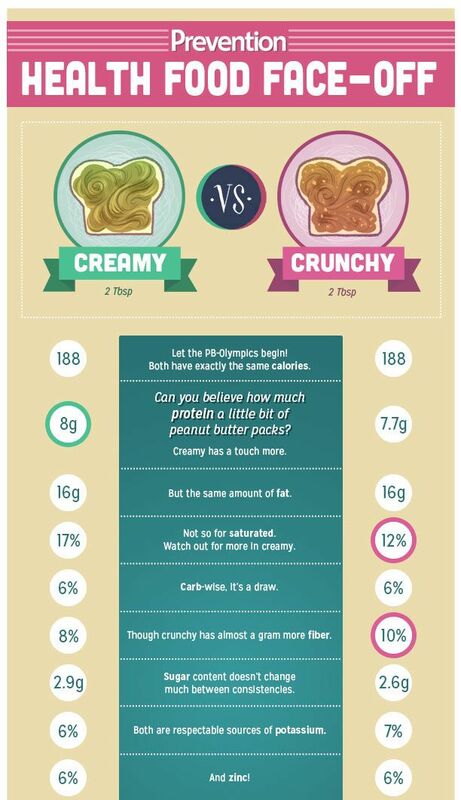 I wonder if this chart would look any different if they were comparing natural PB? (I’m guessing they just used standard, because of the sugar content). I consider the PB/coconut oil a delicious and extremely nutritious snack. Besides starting every day with it. I often dip in during the day, too. Especially if I have packed on a few miles on the bike.